Eagle Hill School’s state-of-the-art STEM Center, will provide our students a vibrant and collaborative environment that encompasses Science, Technology, Engineering, and Math, as well as dedicated space for innovation and entrepreneurialism. In recognition of the way our kids learn and, more importantly, thrive, this new space will create an imaginative, collaborative, and cutting-edge space for each student to expand their academic experience while developing professional and technical acumen. Students will encounter independent learning opportunities, projects encompassing multiple subject areas, and hands-on work at a level the school has never been able to offer previously. Additionally, classrooms will provide openness, flexible spaces and enhanced social areas that will define the academic experience and class day. 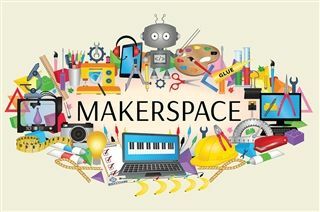 The new Makerspace educational area will offer support for the exploration of product development and all its related technology, mechanical and material science, manufacturing techniques, and use of specific tools. Funding for the center came from a $50 Million Dare to Dream capital campaign and by the generosity of our Board of Trustees, our closest friends, and leading current and alumni families. The STEM Center, opening for the 2019-20 Academic year, will be an exciting focal point for innovators and aspiring change-makers at Eagle Hill School!